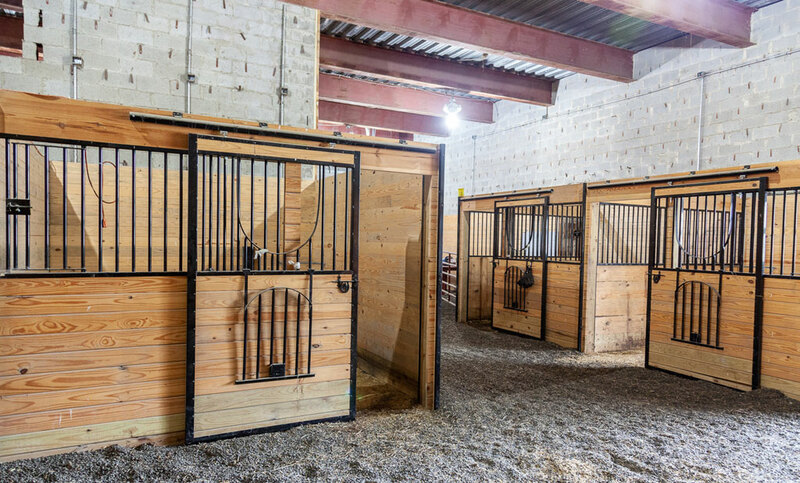 Equine structures and horse barns require a special attention to detail in order to create spaces that can be loved by horses and owners alike. At Conestoga Buildings, we’re a horse barn builder and remodeler that shares your love of horses and farm life, and that has a solid understanding of the many details required to build safe, comfortable structures. 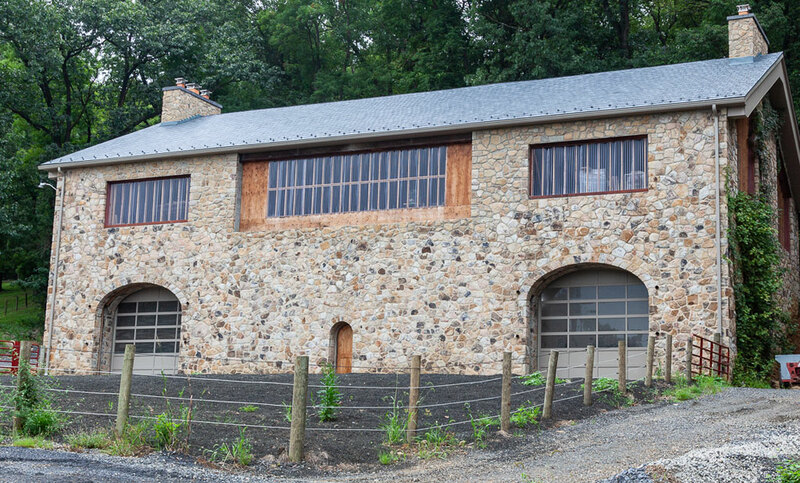 Our team of craftsmen recently put the finishing touches on a beautiful PA custom horse barn and two accompanying garages, totaling over 5,400 square feet of space. Read on to learn more about this project! This particular horse barn was anything but ordinary. Its design featured an exterior stone finish giving the building a classic, historical look. The inside, however, mixed modern touches with industrial design functionality. 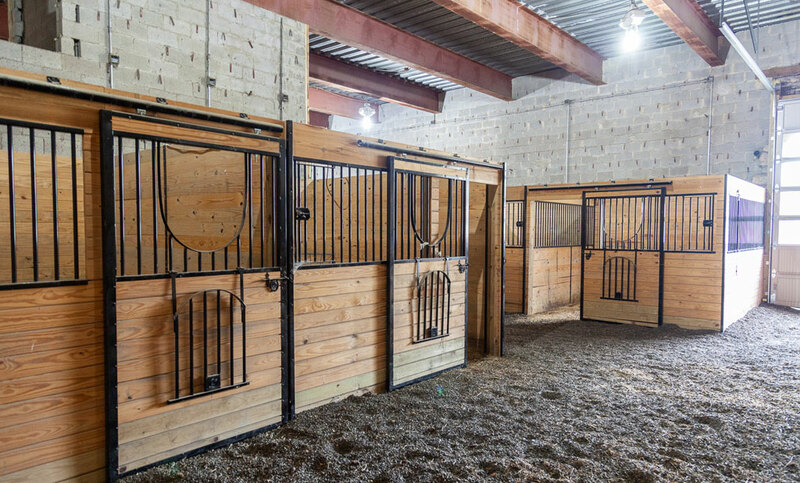 The seven horse stalls were built with solid hardwoods and wrought iron details, and they were sized and spaced for the safety and comfort of both the horses and their owners. 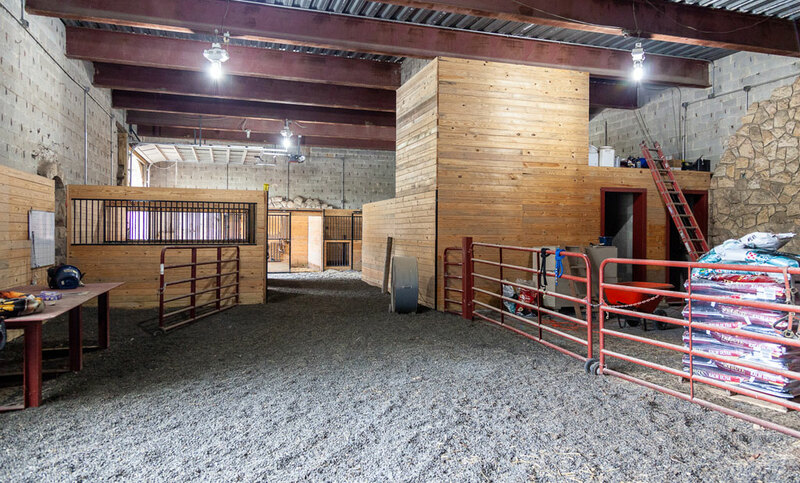 Modern, aluminum-frame, glass garage doors were added to give the barn a creative, visual appeal and also to provide ample space for horses and their riders to enter and exit the building. 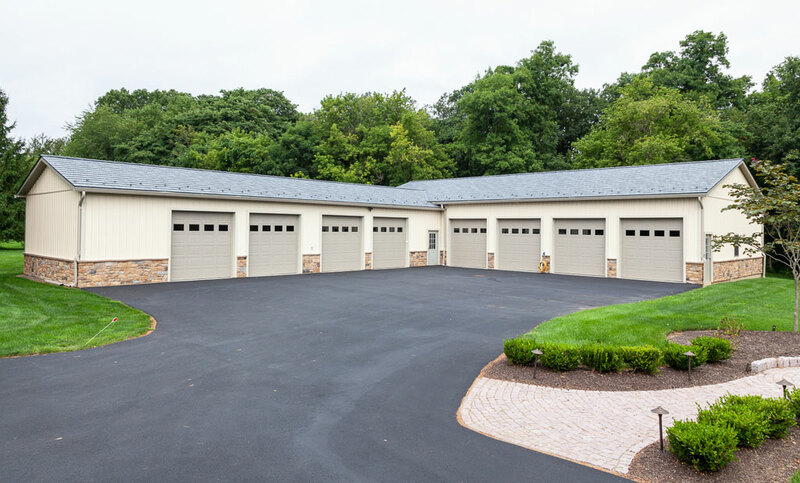 And, the barn’s two accompanying custom garages give the property ample storage for farm equipment, tools and the owner’s classic car collection. 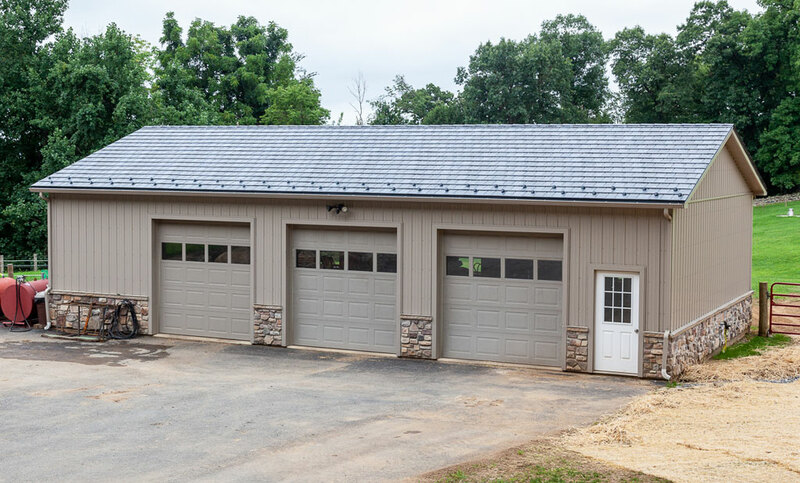 With an 8-bay custom garage, and a 3-bay custom garage, there’s enough storage to accommodate both a working horse farm as well as the owner’s hobbies. We love designing and building horse barns that can be enjoyed by horses and horse owners for decades. Contact us today to learn more about this and our other equine projects, and how we can help you build a structure that fits your farm’s needs and suits your lifestyle.